MailChimp is a great tool, and we love it at Manceppo. It’s easy to use and has solid functionality and a reliable deliverability. To get started with marketing automation, MailChimp offers a good beginning but, fundamentally, it’s focused on executing basic drip campaigns. Marketing automation and drip campaigns are not the same thing. A drip campaign is a set of marketing emails that will be sent out automatically on a schedule. Marketing automation, however, is a much broader concept. Its objective is to automate a series of repetitive tasks such as emails, social media and other website actions. 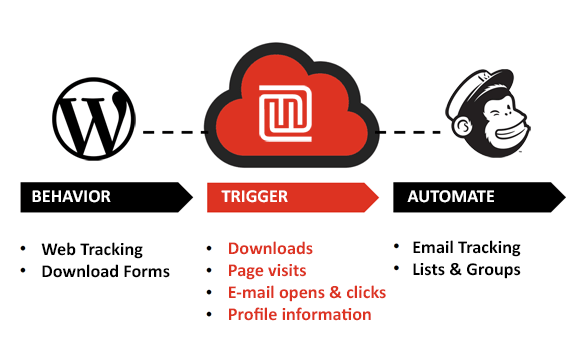 What Mailchimp defines as marketing automation is a series of static campaigns connected to separate lists rather than dynamic campaigns applicable to your overall subscriber or user base. This setup isn’t an effective way of communicating and monetizing your audience. Dynamic campaigns across all your contacts enable you to send more optimized and personalized communications based on where the contact is in their journey and the actions they take on your site. In this blog, we look at the marketing automation functionality MailChimp offers then we address what’s missing and how to fix it. Email drip campaigns consist of a series of emails sent to members of a specific list or segment. They can be sent to all members, new members or members for whom a certain field is identified. Campaign Activity: These triggers help you target subscribers who are on your email marketing list, are identified as “opened,” “clicked” or “not opened” or found you through a specific link. List Management: These triggers help you target subscribers who signed up for your MailChimp list or whose list data has changed recently such as those who were added, one of their fields changed or those who recently joined. Queue Activity: These triggers help you target subscribers who are already in the queue of your automation series such as opened previous email or clicked on a specific link in previous email. E-Commerce: These triggers help you target customers from your connected e-commerce platform such as Shopify, BigCommerce, WooCommerce or Magento. Integrations: These advanced triggers help you target subscribers who meet criteria you establish based on custom API integrations. Date-Based: These triggers help you target subscribers based on a specific date field in your list like a birthday or an anniversary. This trigger type is exclusively available for date-based automations. Lead scores on the different conditions of a profile can typically be categorized as “critical,” “important,” “influential” or “negative.” A more positive condition will typically receive a higher score. Negative criteria have a negative score. Critical conditions can imply a “go” or “no-go” decision. For instance, when a company is not based in the U.S., it’s not considered a lead at all. But a flat “overall” score isn’t very intelligent. Although easy to use and better than nothing, a unified score doesn’t say much about interest in specific topics, the type of persona or the phase a lead is in within the buyer journey. This singular way of scoring behavior is logical when your company sells one type of product like a CRM system. But when you sell both CRM and ERP systems it makes more sense to set up a behavioral score per product line or, even better, per area of interest. For this, your content or campaign assets (like landing pages, emails and webinars) need to be tagged per topic or offering. Also, your marketing automations system needs to support multiple lead scores. Together, implicit and explicit scores can give a good indication of the interests and characteristics of an individual person. This interest score provides a good opportunity to determine your next best step in communication with your contact. And this is core to marketing communication — sending the right message to the right person at the right moment. As discussed above, in marketing automation, lead scoring based on profile information and behavior across channels plays a crucial role. The problem with the profile information in MailChimp is that it is based on email behavior, and, therefore, isn’t complete. Now, with all your contact information in one place, you can start triggering cross-list or segment actions without investing in a high-end solution. 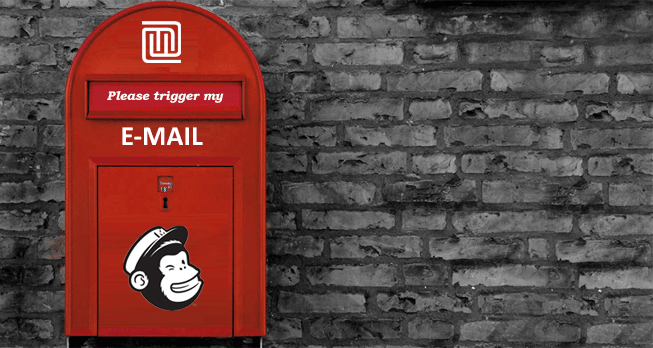 You can track critical moments like views or interest in specific topics to trigger drip campaigns in MailChimp. Once you have implemented Manceppo, you can start using many other marketing automation features as well. Using the Manceppo WordPress plug-in, you can turn WordPress pages into effective landing pages for your white papers and e-books. Or you can easily share, optimize and schedule your content on LinkedIn, Twitter and Facebook. Get started with your free account today! Great instruction video on how to use automated workflows in MailChimp by Media Leaders.